Building solutions with years of expertise, Arista’s innovative industrial control room display solutions provide best visualization functionalities. Users are able to operate, monitor and control processes efficiently and ergonomically. 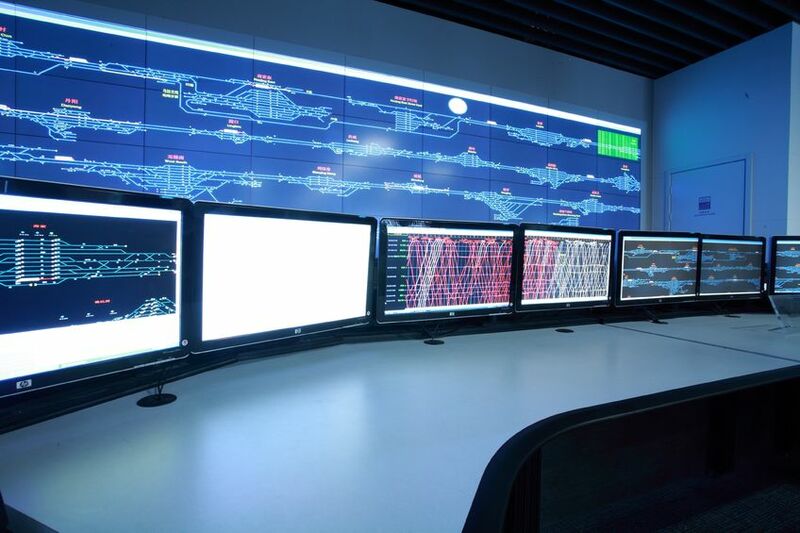 Arista control room display solutions range is specifically designed for harsh 24/7 operation in industrial, crisis centers, transportation, network operations, security monitoring, broadcast, mining/oil/gas manufacturing, and more. The core of Arista Video Wall Displays is ADM-5855VW LCD Module, 55″ super narrow bezel, 1920 x 1080, 16:9 LCD display with built-in controller. With ADM-5855VW, video wall can be built in any matrix layout, 2×2, 3×3, 4×3, etc. ADM-5855VW and can be easily installed maintained and operated. Ideal for large and small control rooms, ADM-5855VW LCD module for video wall embeds the latest “super narrow bezel” LCD displays with LED back light. This LCD video wall display can be expanded with growing requirements, to know more call 1-877-827-4782 or email sales@goarista.com. The Arista ADM-5855VW LCD Module for video wall has a built-in controller; all modules are daisy chained with multiple screen depending on space. The video source of each LCD module fed video signal via video splitter outputs and video splitter video input is connected to original video source. The setup software runs on the computer which communicates with video wall via RS-232 interface or via USB to RS-232 interface. The software allow user to define the layout of video wall and adjust the width of LCD module bezels. After the setup data is stored in the controller of LCD modules, it is automatically saved for future use. Arista’s ThinManager Ready MultiMonitor Thin Clients allows users to display up to five screens through a single thin client. MultiMonitor Thin Client can be used to span sessions across monitors and/or run individual or multiple sessions on each monitor. Users can place monitors at any location within the virtual space and can even combine spanning and multiple sessions on a single thin client. Users can use two adjacent monitors to span a single session while two other monitors are used to display sessions running on other servers. MultiMonitor Thin Client supports spanned resolutions up to 8192 x 8192 with 64K colors for MS Server 2012 and other latest versions. MS Server 2008 and prior version are limited to a spanned resolution of 4096 x 2048. 4K ultra high definition (UHD) resolution offer real-time accurate value in control room environments with multiple screens deployed in control room applications. Arista’s BoxPC-138-G00-00D with ThinManager 9.0 supports Virtual Screens, it allows screen to divide in separate display sections with multi-monitor functionality to a single physical 4K UHD LCD display monitor. There will be 1920 x 1080 pixels for each section when 4K UHD LCD display monitor is split into quad view and each section represents a Full HD screen supporting up to 1920 x 1080 resolution. Arista’s Quad View Processors, MVD Series, offers the ability to display multiple video sources on a single LCD display. This functionality has literally changed the way production control rooms are designed and implemented. The keyboard video mouse (KVM) extenders are ideal for places where Thin Clients or computers are installed at a distance. Arista offers variety of extenders to meet all various video source requirements including VGA, DVI, and HDMI video signal. AMP-1616 is 16 HDMI input and output matrix switcher; it allows HDMI input to be routed to any HDMI output and vice versa. Pushing the envelope on multimedia connectivity between AV sources and remote displays, Arista’s ARD-3001 integrates long distance extension, IP-based switching, and advanced AV signal processing of Ultra-HD video, audio, and control signals into a single box. Arista’s ARD-3001 is suitable for use in virtually all AV signal distribution applications including AV/KVM extension, AV/KVM switching, video-wall and multi-view. Arista Corporation is proud to have a talented team of engineers who incorporate expert knowledge, research and efforts to deliver the best. With headquarters in Fremont California, Arista has offices in China, Taiwan, and India. Our website www.goarista.com provides detailed information about products, parts, technical support etc. Contact sales@goarista.com or support@goarista.com for any information or call us at 1.877.827.4782 Monday through Friday PST 8:00am to 5:00pm.